How can you iincrease engagement rates with your videos? Videos are an important part of your digital marketing mix. One-third of all time spent online is spent watching videos, and the ability of videos to convert watchers is unprecedented. A video on a landing page can increase conversions by 80%, and audiences are 64% more likely to buy an item online after viewing a video. Videos embedded within your emails can also increase click-throughs by up to 300%. However, many small businesses (just under 80%), don’t utilise any video marketing. This can seriously affect their online success. Once you’ve committed to video marketing, you need to find a place to host them. Unless you have a high-powered server, your own website is not a good option. They will just slow down your website too much. That is why a video sharing website, like YouTube or Vimeo, are better as these videos can be embedded into your website or email template. YouTube is also great for helping you with your website’s page rank on search engines. However, just uploading a video isn’t going to get you success. There are many elements to a successful video marketing campaign. First, each video needs to have a keyword orientated description written that needs to be about 300 words. Then, all videos with speech should include closed captions. Finally, you should consider a unique and custom thumbnail. A video thumbnail is an image that represents the video to internet browsers or email subscribers. It is the first thing they will see, and most will make their decision about whether to watch a video or not based on the look of the thumbnail. 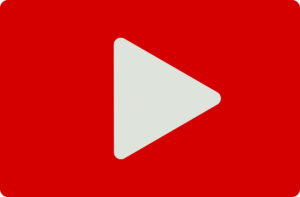 When uploading to YouTube, your videos will be scanned, and YouTube will give you the option of three video screenshots to represent your video. These can be then used to promote your video on the channel, and anywhere you embed your video. However, generic or autogenerated thumbnails are always great for video promotion. In fact, YouTube states that 90% of their top performing videos and YouTubers use custom thumbnails. Autogenerated thumbnails can seem randomly selected and can sometimes look unprofessional. You can design custom thumbnails, so they have the best graphics, your branding and call-to-action to engage with users. It demonstrates you’ve taken the time to develop your content and therefore, it will be perceived as being higher quality. Developing a custom thumbnail for your videos isn’t challenging. All you need is a camera and Canva, a free graphic design program online. Next, go to Canva and sign in. Then create a new custom image that is 1280 pixels by 720 pixels. Upload your image and drag it into the editing area on the right-hand side. Then add some text and branding. Then you can download your video and upload it to YouTube or other video sharing website. The only issue you might have is that your image when downloaded from Canva can be greater than the 2MB limit YouTube sets for custom thumbnails. However, using another free tool, RIOT, you can reduce the file size down significantly to match their requirements. Once uploaded, you have a custom thumbnail that will display everywhere you’ve embedded your video, including in email marketing communications. Video marketing is important and can be a useful addition to email marketing campaigns. Emails with videos have better click-through rates and lead to a greater number of enquiries or direct sales. The most successful videos are those which contain custom thumbnails, the image that represents the video when it is not playing. These can easily be produced, but there are key considerations for developing the best custom thumbnails. If you match those requirements, your videos will be watched a lot more. Do you use video marketing in your campaigns? Do you include videos in your email marketing campaigns? What Is The Best Colour Scheme For Email Marketing? What is the best colour for your email marketing campaigns? Humans can process pictures 40,000 times faster than text. Colour also influences people’s emotions. The right colour used within your email marketing can help entice your audience to act on your call to action. With colour being so important and linked to the emotional response of your audience – you would think there would be a recommended colour that would be best for all email marketing campaigns. However, this is not the case. It all depends on the goals of your campaign, your brand identity and customer expectations. The latter of these are hard to change. If you have branded yourself with a yellow colour, then you need to remain true to that colour. This is what your audience expects and subscribers will be confused if you change without a rebranding, which isn’t always great for your business. One way to mix a colour that matches your branding and goals is to choose a colour that complements your brand’s identity. For example, if you have red branding, choosing purple for your email is a bad idea as the two colours often clash. Choosing a complimentary colour that matches your campaign goal isn’t too challenging, though. Some colours can encourage the same emotions. For instance, white and purple can encourage creativity. It is also important to consider the time of day you are sending your emails with your colour choices. Sending an email late at night with a very mentally stimulating colour like yellow and orange can disrupt your audience too much. They are probably trying to relax and read content that is restful. In this instance, green might be a more suitable colour. Where the colour is going to go should also help determine your choice. If you are trying to get someone to click on a button, then action colours should be chosen. However, if you are trying to make someone read important information, thoughtful colours (i.e. black) might be preferential. Finally, the choice of colour might need to be restricted by previous campaigns and colours already in use. Black, for example, is a colour that, if used too frequently, can be overwhelming and damages long-term campaigns. There are many colours on the colour wheel. It can be difficult to know which is best for your campaign. So here is a list of the major colours and what they represent. Use this as a quick guide to help you make an informed decision on the best colour for your email campaigns. Red: A colour that is often associated with passion, excitement, and movement. This is the colour to use if you want to draw the reader’s attention to a specific spot on an email or get them to act. Red is also the colour to represent danger. Green: A complete contrast to red, it is a relaxing colour that represents nature and health but also power. It’s the colour to use when you want to have decisiveness with your email and encourages a balance. Blue: As can be seen in its use in everyday life, blue represents security and reassurance. It also helps to stimulate productivity but also represents peace and reliability. Along with green, blue can also represent tranquillity. Purple: A creative colour that also represents the higher social status. Historically it was associated with royalty and luxury as well as respect and wisdom. Black: There is a reason most texts are in black – it is because it is the colour of intelligence and authority. It can also demonstrate power and strength but can also be a negative colour if used too much. Orange: This colour can help stimulate a sense of optimism. It is often used for call-to-actions for offers available for a limited time only as it counteracts anxiety. Therefore, it is great for attracting impulse buyers to an offer. White: A colour that can sometimes be forgotten and is often associated with neutrality. Because it appears to be a blank space, it can spark creativity. It can also be associated with purity and cleanliness. Colour is important in your email marketing campaigns. But you need to be careful in your selection process. Some colours will clash and others will detract from your campaign goals. Using the short guide above, you can choose the right mix for your email campaign and be successful. 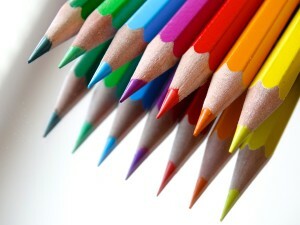 What colours do you use in your email marketing campaigns? Have you experimented with colours in the past? You couldn’t change the font in the old days, now its part of your brand. Your email campaigns will be better received by your audience if your email messages are branded. Branding introduces reliability, expectations and above all trust to your subscribers. These are all the qualities a potential customer wants to see. Here are six simple steps to make your email marketing campaigns better aligned to your brand. There is nothing more important than your logo within the body of the email. It is the symbol of your business, and your audience should connect it with your brand within seconds. A good logo will also describe who you are and what your business’ values are. There is no one, best location for your logo. However, it could be useful to place the logo at the top for immediate identification, or at the bottom where your signature would usually go. Don’t be too free with your colour choice. Colours have an emotional impact on the reader, and certain colours will represent your brand more than others. For example, blue colours tend to represent expertise and authority while red can be perfect for passionate brands. Be careful with certain colour combinations as some are copyrighted. While you might not be sued if you are in a non-competitive industry, certain big brands might take offence if you sell similar products and use a similar colour or combination of colours for your logo. 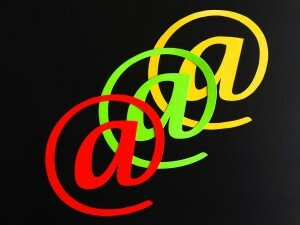 Colours used within the body of the email should complement your logo. Visuals are an important aspect for your marketing emails. They put your email into context for your audience, making it easier for them to understand your offer or message. Many sites offer quality visuals, e.g. Pixabay and these photos are free for commercial use. Another site to take a look at is FreeDigitalPhotos.net, which can be free to use for a reference, or images bought for a reasonable price. Check the terms and conditions of any images you use and/or purchase carefully. Or, if possible, you could take good quality, high-resolution photos yourself. In the same way that colours can distinguish your brand and its ethics – so can the font you use. Customers will expect your brand to use one or two fonts in all its communications. Your chosen fonts can say a lot about your brand and how it operates. Don’t constantly change the font you use in emails. It can get confusing for your audience, and lower the success rate of your campaigns. You may think that links have nothing to do with branding, but it can be the aspect that signifies your brand beyond the email. For instance, if you connect to blog posts, then you are saying that information is a key aspect of your brand, if you connect to a social media page, you are identifying interconnectivity and communication as having a major role. Think carefully about what you want your brand to represent and then express this by your choice of links on your email. Each brand has a unique way of speaking to their audience. Some will emphasise formal sentences while others will be informal. Finding your voice, and keeping it consistent is of vital importance and each tone and style will attract a different audience. Think carefully about your audience and how they talk to their peers before you decide on any particular voice for your brand. At the same time, consider how your staff speak. And, keep it consistent. If your mailing content speaks one way, but then the customer gets another style when they contact your customer services, they could get confused and even wonder if they’ve contacted the right business. With these six points in action, your emails will be better placed to connect with your audience. You should start to see open rates and click-through rates increase and with better results will come higher ROI on email marketing, more revenue, and growth within your business. 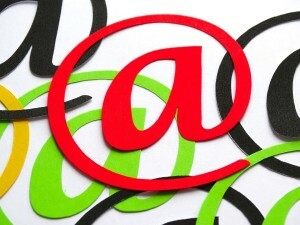 How do you brand your email marketing messages? Have you changed it recently and regretted it? Have you got your call-to-action button in the right place? Designing your marketing emails is completely different to designing a website or leaflet for direct mail. Subscribers and audiences react differently to your emails than they do to any other form of content. Get your layout wrong, and your campaign could be completely disregarded. How Is Email Design Different? Firstly, subscribers tend to open email campaigns in three stages: envelope, content and landing page. If you fail to optimise your subject line, pre-header text or sender information, then your audience could be dissuaded from opening your email in the first place. To get people to continue reading your email, you will need to design the content so it matches any promises made in the pre-header text. Your landing page will also need to build on those promises as well. Secondly, you could struggle with the difficulties associated with coding. There are no standards for email coding between inbox providers. As there are ever more inbox providers, there are numerous codes to consider and therefore, getting your emails to display as you intended on all inboxes can be problematic. Finally, the growth of mobile devices has made it more challenging for businesses to produce email designs that perform well on all devices. Emails are being opened on mobile devices more often than on desktop devices, so a mobile responsive design should be a priority. Another consideration is that some email inboxes will automatically block images which can make certain email designs look ugly. A design that isn’t visually appealing will not attract your audience to take the next stage of the sales path. Another consideration is that if you contain all the content in images, this can reduce the effectiveness of your email campaigns. Also, because there is less speed on mobile devices, campaigns might have very small open rates. Therefore, while images are important, they should also be used sparingly – when they will be most effective. How we read documents on computers and mobile devices is vastly different to how we read documents on paper. While on both sets, the reader is most likely to scan the document first to pick up key points, the reader is likely to see the whole page on a paper document. In contrast, on a digital document, the reader tends to look at what is in the left column and at the top of the page the most. The bottom section of any page is often disregarded. Another consideration is scrolling. Most readers will not scroll down on a computer to continue reading. Therefore, the majority of the information should be contained above-the-fold. The call to action button should also be above the fold and to the left of the page to encourage more people to click through. Ensure all links are obvious on the page. Be CAN-SPAM compliant with all the necessary information included in the email. Minimise image use and ensure they are optimised for download and quality. Always have the call to action and link above the fold. Minimise your text. Keep it to below three hundred words. Minimise the use of spam words (i.e. free). Test your emails on multiple platforms and email clients. If you follow these design tips, your emails will be more acceptable to your audience, and you will see better results. What design tips do you have for email? What results do you get? Why You Should Design Your Email Marketing To Fit Your Brand? Your business is a brand recognised by customers, prospects and suppliers. Without this brand image, external people won’t know what to expect. When customers are speaking to you in person, it is easy for you to present your brand. However, when you are sending an email – the brand image isn’t so easy to convey. What you need to do, is design your email marketing campaigns so they match your business brand. Does This Affect Email Marketing Results? Email recipients are careful about which emails they open and how they interact with them. Customers are also very wary of scams that may seem to be from a legitimate brand but are in fact from internet scammers. Normally these scammers use a brand name, but don’t match the expected brand image. Therefore, the first advantage of ensuring that your email matches your brand is that you can reassure your audience that the message is from you – and therefore increase open rates. The right brand can also help set you apart from the competition. For example, the subscriber might have signed up to three or four competitors of yours, as well as your email list – if you all send similar messages, the prospect won’t be able to differentiate between you and therefore their purchasing decision would be more difficult. With more open rates, you’re going to attract more traffic to your website, which will organically grow your sales/enquiries. Research has shown that in 80% of sales, it can take between 5 and 12 interactions. If the majority of those interactions are based on email, you need to ensure that the familiarity of your brand is built up with each email as this makes it easier when you call your prospects. As the brand familiarity grows, your customers will develop expectations of what is included in your email and that transfers to their treatment as a customer. For example, if you continuously email them useful information that can help them run their business, they will expect your services to be educationally driven. This can be a great way for your business to impress prospects and for them to determine whether or not you really are the partner they need to help them. 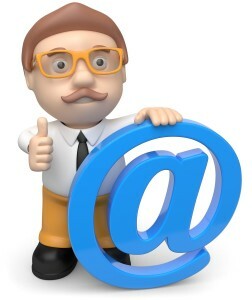 There are many different ways that your business can create emails to match your brand image. Here is a quick checklist to ensure that you are getting your email design right. Colour – Colour is vital to your brand image. It doesn’t just look good, but it can also be a visual clue as to the personality of the brand (i.e. blue represents confidence and intelligence). Logo – Customers will expect your logo or another familiar brand image to be inserted somewhere in your email. 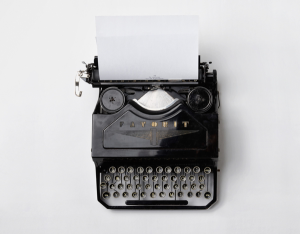 Wording – How you speak to your customers and prospects is very important. Different organisations will have their own ways of conversing with customers or you might have defined terminology for your products/services. Message – The message that you are sending to your prospects is crucial. Some brands will only send certain messages (like educational, sales, related products to previous purchases). Social Media – your social media profiles are a good way to communicate your branding. Layout – Customers will expect to see your emails looking a certain way. This could be a mirror of what your website looks like, or be unique to your emails; either way, it should be consistent. Your business’ brand image is very important. It’s even more important when you are sending emails as it reassures your audience that your message is legitimate and helps to build the expectations of your brand. How do you build your brand through emails? How effective is it? Email marketing is all about getting the attention of your audience. The first part of your message anyone will see is the subject line, and getting that right is paramount. Many articles give advice on the words you need to use in your subject line, but they often fail to mention the length. Having all the power words within your content may do you no good if you have a subject line that is too long to read. So what is best: short or long subject lines? The biggest problem with determining the ideal subject line length, is that not all the data is the same. It is all dependent on what campaigns are measured and the audience who received those campaigns. For instance, those sending messages to the B2B sector will find that messages with subject lines of between six and ten words will get more open rates, but click through rates aren’t great. When there are more than 130 characters, the open rates drop significantly but the click through rates increase substantially. Finally, anything over 16 words sees a significant return on both clicks and opens. The president of ShowMeLeads has claimed that she has found a definitive answer for the length of an email. Research that analysed 260 million emails from 540 campaigns has led her to believe that there is a very specific word count that businesses should aim for. Subject lines with between six and ten words generated a 21% open rate. Subject lines with fewer than five words were opened on average 16% of the time. More than half of emails had between 11 and 15 words in the subject line and generated a 14% open rate. Marketing Sherpa conducted research to find out whether or not longer subject lines were better than shorter messages. They looked at 9,313,885 emails for their research. Their results were different than those of ShowMeLeads. The most popular length for subject lines was between 41 and 50 characters, yet it performed the first worst for open rates. Only 6% of emails had a subject line of between 61 and 70 characters, but these had the best open rates (17%). Email messages with between 51 and 60, or 91 and 100 characters performed the second best achieving 15% open rates. Finally, Return Path studied over 2 million emails to evaluate the correlation between subject line length and open rate. Their research also looked at the Pearson’s Correlation value, which suggested that there was no correlation between the length of the subject line and open rate. 25% of subject lines were between 41 and 50 characters. Open rates were greater when subject lines were between 61 and 70 characters. Only when there were more than 100 characters in a subject line did the open rate drop (down to 9%). One of the important considerations is the device that your email is being read on. Desktop inboxes display approximately 60 characters whereas mobile devices show between 25 or 30 characters. Therefore, if your audience is mainly on mobile devices, then you need to shorten your subject lines, so the call to action or important message is at the beginning. Email subject length might be an important factor in the success of your campaigns, but there is little evidence to suggest that a longer or shorter one will have a major impact. It might be all too dependent on your primary audience. Therefore, you should consider A/B testing your emails when deciding what works best for your audience. What subject line length do you use? Have you ever tested it? How can colours affect your readers? Colour is critical when it comes to the success of your marketing and branding. Email can be particularly affected by colour and you can see the results in click-throughs and conversions. So why is colour so important and how can you improve your results by using it in your marketing? What Impact Does Colour Have On The Reader? Colour has long been associated with emotions. Different emotions and meanings are evoked depending on the primary colours used. 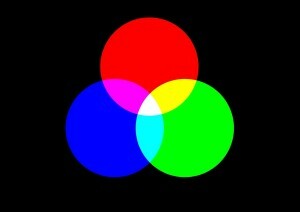 Four main colours are used to illicit emotions from an audience: red, blue, yellow and green. Each colour will have a different meaning for your audience and to make matters more complicated when choosing colours within your marketing, each colour has both positive and negative emotions, which can make it difficult to choose. Red is seen as a physical colour and is often used for warning signs and danger. However, it can also be used for strength, warmth, energy, stimulation and excitement. Of the negative side of the colour, people can perceive aggression, strain and defiance. Red can seem closer than it is, which is why it often grabs the attention of the audience earlier than other colours. At the same time, readers respond physically to the colour with a quickening pulse rate and the perception that time is passing faster than it is. Because it evokes the fight or flight survival instinct within humans, it often doesn’t have the subtlety of other colours and sometimes can have an adverse impact on your marketing. It all depends on whether you want quick actions and to demonstrate power, or if you want to be more calm and relaxed. Blue is the colour of intelligence. Often when viewed, the colour communicates intellect, communication, trust, efficiency, serenity duty, logic, coolness, reflection and calm. However, it is not always positive. Blue is often associated with a lack of emotion, unfriendliness, aloofness and cold. Unlike red there is no physical reaction to the colour but rather a change in our mental state. Blue is often used in relaxing areas as it seems to calm the mind. However, it does depend on the shade of blue. Stronger blues will stimulate clear thoughts, while lighter, softer blues will calm the audience and help with their concentration. Interestingly, despite being perceived across the world as being cold and unfriendly, blue is most often chosen as a favourite colour. If you want to be emotional, yellow is the colour to choose. It is often seen to reflect optimism, confidence, emotional strength and creativity. On the flipside, it can also evoke fear, irrationality, emotional fragility, depression and anxiety. So it has to be used very carefully. Yellow is very stimulating, so it will have a greater effect on the audience’s mood compared to blue or red. But you have to ensure that you have the right shade as some shades will lift spirits, provide confidence and optimism while others will reduce the audience’s self-esteem and lead to fear and anxiety. Green is all about being balanced and nature. Those who display green in their marketing are not surprisingly connected to rest, restoration, the environment and peace. It can also be reassuring to the audience. However, green also has negative aspects. It can be seen as bland, boring and stagnant – which makes it a poor choice for those who want to be seen as the next big thing. When the eye sees green, it doesn’t react as it would with the other colours. Therefore, we often see this as a relaxing and restful colour. Being at the centre of the colour spectrum, we also see green as a balance. When using the right colours within your marketing, you can evoke the emotions that you want to generate the right reaction. Whether you wish to develop a trusting relationship with your audience or get them to take quick action, you need to know what the right colour for your email is as well as the right text. What colours do you use in your email copy? Does it get you the results you want? Get your email stuck up on a board and not deleted before being read. Emails are a very effective way to get your brand message across to your prospects. Customers like to receive promotional content via their email address as it is a relatively un-intrusive form of communication. However, the scary thing is that unless you are great at designing emails, 80% of your messages will be viewed and actioned in a preview pane. As the trend of opening emails on phones becomes more mainstream, the challenges of getting people to see the whole of your message will increase. 60% believe that the sender’s name and email address is the key information. The subject line is the second most essential piece of information for 54.3%. The main headline is the next piece of vital information (53%). Teaser copy is not very important. Only 30.3% of respondents stated they examined the email in the preview pane before taking action. This information can be very useful in deciding how to design and send your emails. 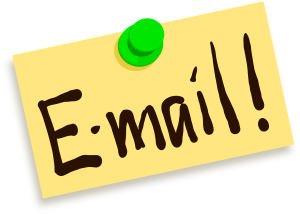 So what tips can we provide to optimise your email campaign designs to get more opens? Spam is the biggest challenge for email users. Our addresses are bought and sold to companies without our consent and sometimes we can receive dozens or hundreds of unwanted messages a day from companies offering us products we don’t want. Therefore, being seen as not spam can be very challenging. One way to do this is to ensure your ‘from’ field is not that of an organisation but a recognisable individual to help beat spam filters and make your message look genuine to the subscriber. The subject line should be working hard on the message you want to provide. Forget the boring and generic subject lines like “RE: Your winter wardrobe needs” or “March Newsletter”. Instead, look for something that provides a benefit to the reader of your email. It could include the action you want them to take after reading your email. Key action-inducing messages will increase the open and action rates of your emails, giving you a greater ROI. Don’t be afraid to personalise your emails. Have their name within the subject line and perhaps in the copy of the email, which will make it appear as though the email was created just for them and therefore, more worthwhile for the subscriber to read. Don’t waste the top of your email with text that is only stating the obvious. There is no value in ‘view this email in a browser’, place this at the bottom of the email instead. The top space should be for highly engaging and informative teaser text. Let the reader know what your email is about and what it will give them but keep some information back so they are intrigued about the rest of the content. Alternatively, you could use this space to offer reassurance that the email is not spam and worth a good read. If you are selling business services, forget the images. Many business email users have firewalls and email client settings that restrict the download of pictures. Therefore, when they see your email in the preview screen, it can look messy and unattractive. If they don’t like the look of your email in the preview screen, they aren’t going to download those images. Your emails are the key to selling online. They have the greatest ROI of any online marketing channel and can support your business’ revenue continuously. Just ensure you have the right design so that when people preview your emails, they want to open them up and read more. What are your open rates like? What is your click through rate?